Many potential clients are curious to see Exilis before and after images. Our clients are often amazed at the dramatic results. 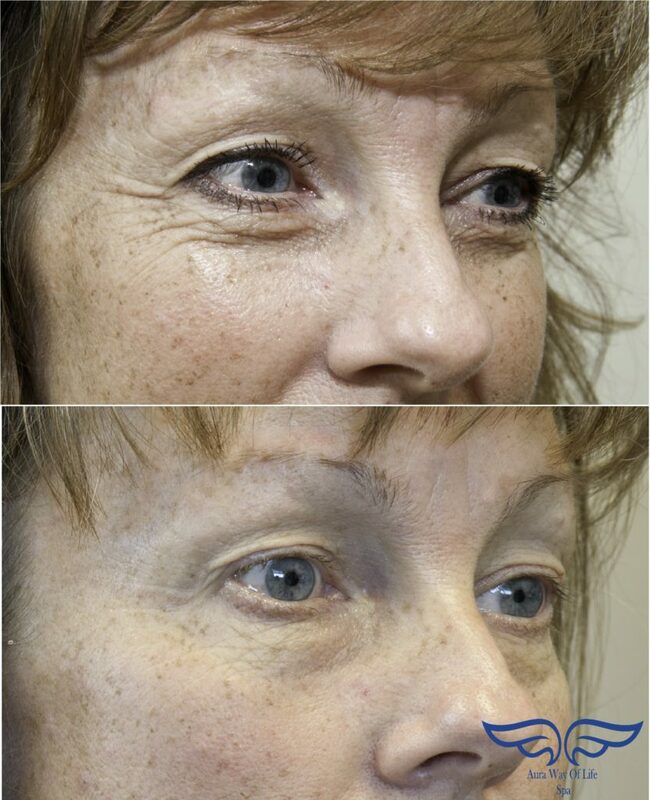 In the image below, there is an amazing reduction of wrinkling and skin tightening around the client’s eyes. The skin looks tighter and smoother. Exilis works by using monopolar radio frequencies. These frequencies penetrate deep layers of skin and stimulate collagen production. Increased collagen production helps to reduce wrinkling and gives a more youthful appearance. As a person ages, the body naturally produces less and less collagen. An aging person will notice a decrease in skin elasticity in addition to wrinkling and sagging skin. Exilis treatments effectively increase collagen production by targeting them in specific areas. Who is an ideal Exilis candidate? You may be wondering if Exilis is right for you. Exilis is non-surgical and non-invasive. This makes it ideal for those who cannot have surgery due to their schedules or because of some medical conditions. Exilis is perfect for anyone with a bit of extra skin or moderate to mild extra fat. For the face, the ideal candidate is someone who has jowls that are starting to sag on the lower part of the face or droopy skin around the eyes. Typically this happens in patients that are in their 40s or 50s. Exilis is also ideal for patients who just want a little bit of tightening and elevation on their faces. Patients that have loose saggy skin and a stubborn fat deposits on the arms, legs, stomach, buttocks, male chest, and love handles are also ideal. 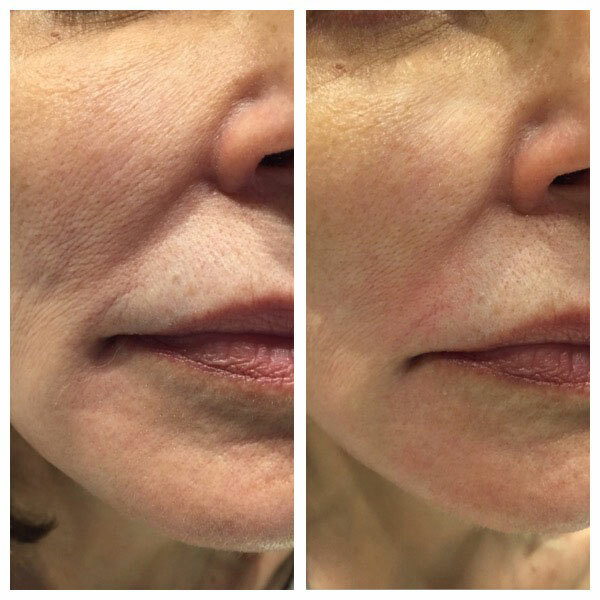 In the client below, she is suffering from fine lines and wrinkling around her mouth and jawline. After her Exilis treatments, you can notice that the skin appears smoother and plumper, giving her a more youthful appearance. What makes Exilis an ideal treatment? It’s non-surgical and non-invasive. This means there is no downtime. A patient can resume their normal daily activities almost immediately. Also, for patients that are anxious or fearful of surgery, Exilis can provide amazing results without the associated surgical risks. Treatments are typically under one hour in length, depending on the targeted areas and desired results. Aura Way of Life Spa provides excellent Exilis before and after results. Our highly skilled staff will help you get the results you are looking for. Contact us today at 949-280-1617 to schedule your appointment!